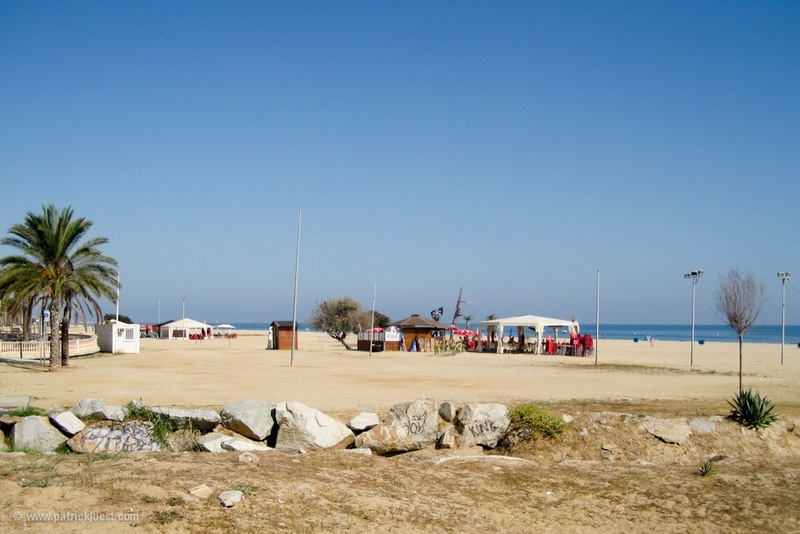 At the Costa del Maresme still inside the town El Masnou in the north outside of Barcelona you will find the beach of Ocata. A small church decorates the cityscape. 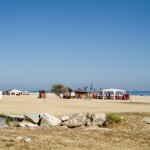 But most people are coming here because of the long and wide beach, which starts right after the marina of Port Masnou. 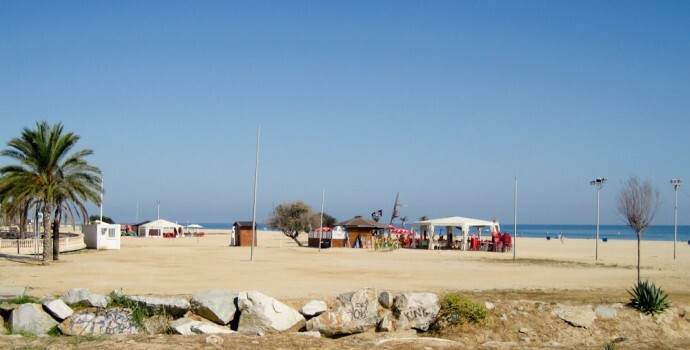 Even in summer you will be able to find a spot to throw your towel into the sand – just like Castelldefels. 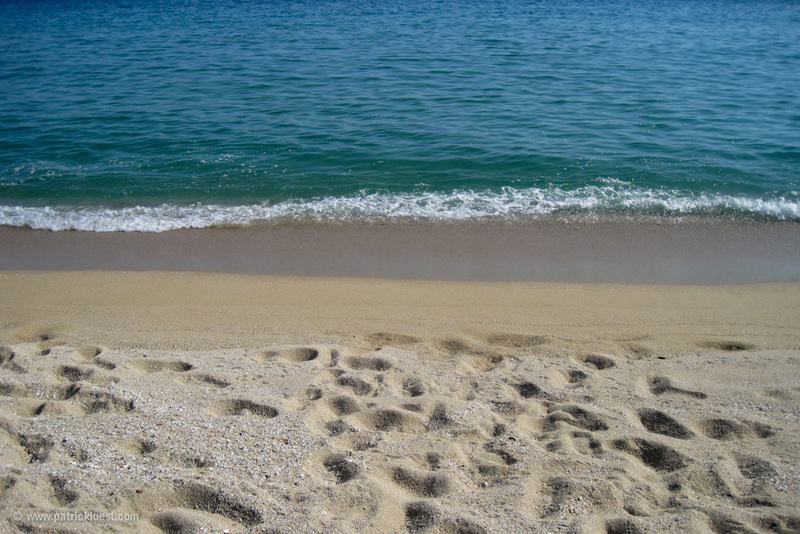 The water is more or less clean and not as shallow as in the south. 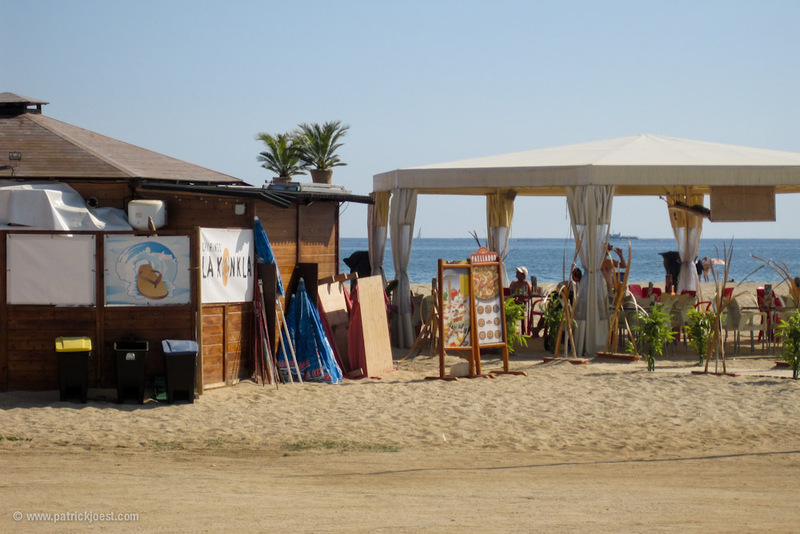 Many Chiringuitos (beach bars) are lined up along the beach and signalize cool drinks. Train from stations Sants, Placa Catalunya, Arc de Triomf and Clot (Renfe Rodalies R1 direction Blanes) – train station ‘Ocata’. 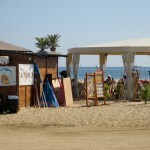 Tags: Barcelona, beach, Port, Spain, train, train ride, trip.